$10; pay at the door. Guided tours are available one day each month, on the second Tuesday of the month. 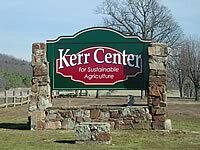 During these tours, Kerr Center staff show visitors our current horticulture and livestock projects. Tours go from 9-11 or 1-3 (approximate length), and cost $10 per person. Advance registration is required. Contact us a week in advance to let us know you are coming and whether you want to see horticulture or livestock projects or both. Keep in mind that what is available to see varies according to season. When you call, we can let you know what is available to see. We want you to have the best possible experience! Pay at the door. Tours begin at the Kerr Center office. All other visits must be requested at least two weeks in advance. Groups are welcome. 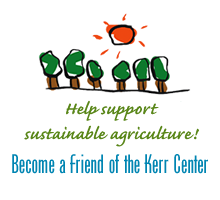 Call the Kerr Center at 918.647.9123 or email mailbox@kerrcenter.com with “tour request” in the subject line to arrange a visit.